The Gallery Classroom is now available for events. Rental starts as low as $30 for 4 hours or less. 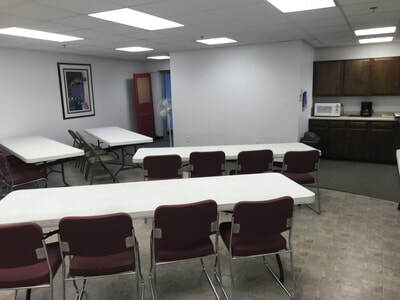 Perfect for your next class, meeting, baby or bridal shower, birthday party, etc., the gallery classroom features a comfortable and spacious atmosphere with a kitchenette. 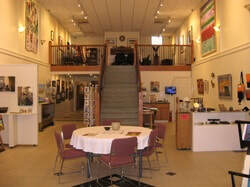 Contact the gallery at 701.591.1010 for booking and rental information. 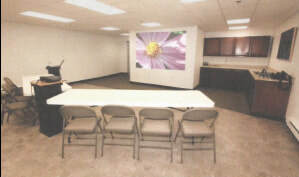 The gallery classroom has six 8-foot tables available to use. 36 - 42 if both sides of the tables are used. 50- 60 people can be seated in chairs. 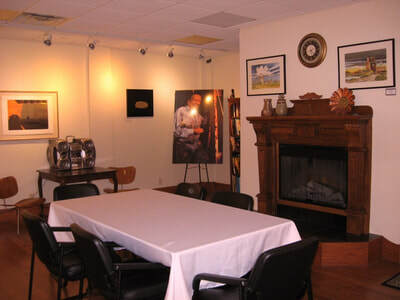 Plan your next group gathering for a meeting, a wedding, a reception or a business or private social at the Red Door Art Gallery. Check for availability of the gallery for your event by calling 701-591-1010 or emailing rdag@midconetwork.com. Call/email the gallery to reserve or for more information.